Oscars Songwriting 2014: Who Will Win Best Original Song Race? Oscars 2014: Who Will Win Best Original Song Race? Competition this year is between four nominated songs: "Happy," "Let It Go," "The Moon Song" and "Ordinary Love." The 86th Academy Awards will take place March 2, 2014, at the Dolby Theatre in Hollywood, Los Angeles. 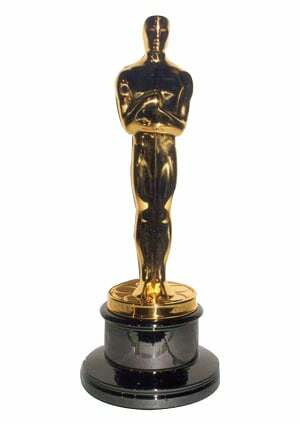 The Academy Award for Best Original Song is one of the awards given annually to people working in the motion picture industry by the Academy of Motion Picture Arts and Sciences (AMPAS). It is presented to the songwriters who have composed the best original song written specifically for a film. The performers of a song are not credited with the Academy Award unless they contributed either to music, lyrics or both in their own right. Music by Paul Hewson (Bono), Dave Evans, Adam Clayton and Larry Mullen; Lyric by Paul Hewson (Bono). Pharrell Williams is on a roll. He was featured in two of last year’s biggest songs, just swept the Grammys with four wins. Songs that were published prior to a film's production having nothing to do with the film, such as "Unchained Melody" in the 1990 film Ghost and "I Will Always Love You" in the 1992 film The Bodyguard, cannot qualify (although "Unchained Melody" was nominated when first released for the 1955 film Unchained). In addition, songs that rely on sampled or reworked material, such as "Gangsta's Paradise" in the 1995 film Dangerous Minds, are also ineligible.